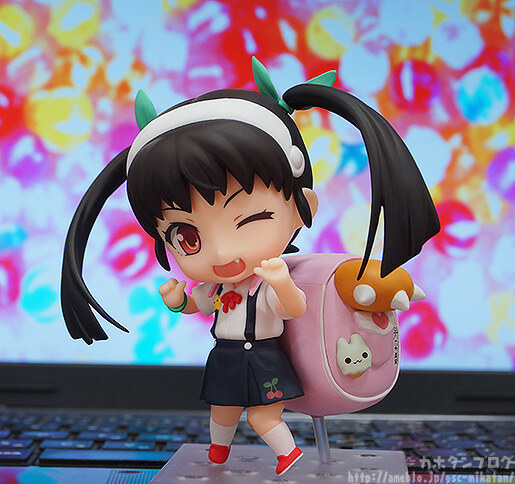 Kahotan's Blog | GOOD SMILE COMPANY Figure Reviews | Nendoroid Mayoi Hachikuji! I live about a 10 minute walk away from my nearest station… and after being in the nice warm offices all day long the walk from the station to my house is always absolutely freezing…! 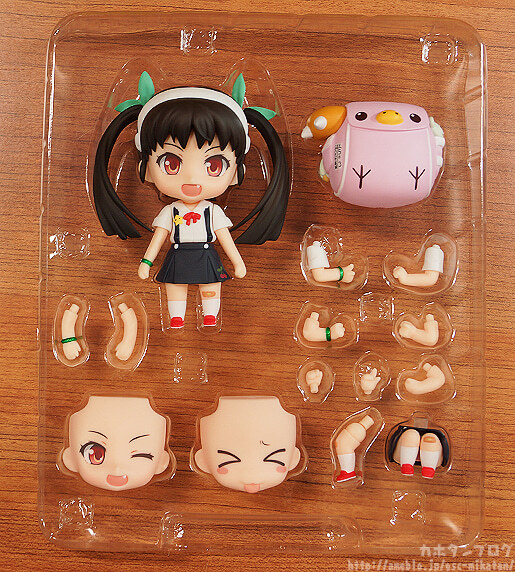 The second Nendoroid from the Monogatari series is finally being released! 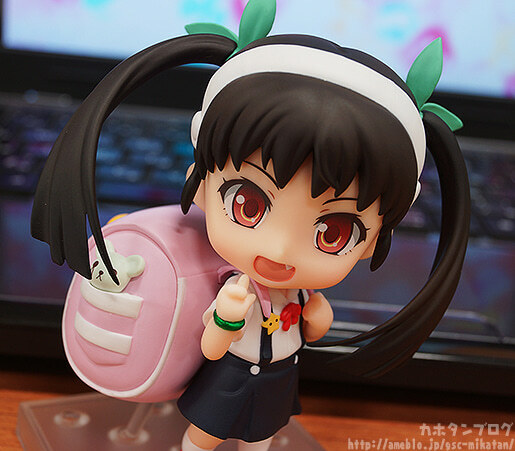 The cute, loli character with a huge backpack and lovely twintails – Mayoi-chan! 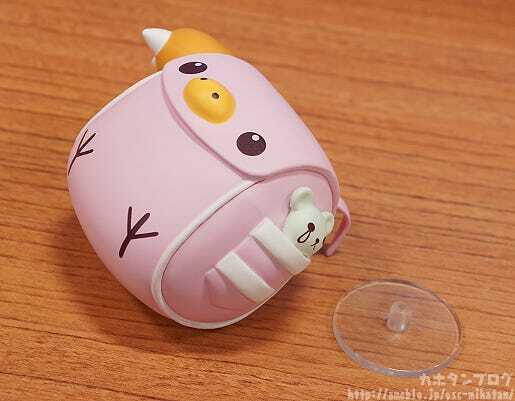 The huge backpack can also be removed! 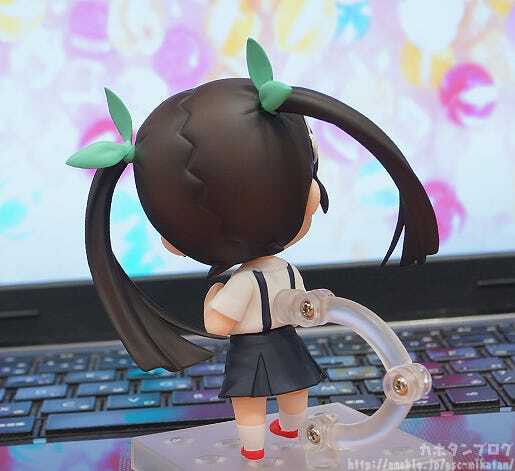 This is how she looks from the back without the backpack! Another highlight for me is the detail that has been put into the backpack! 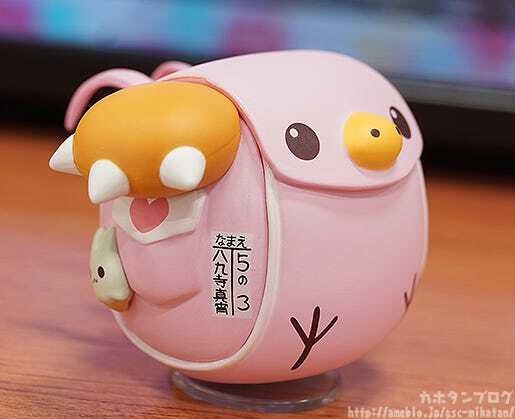 I love the cute round shape of the backpack, let alone all the cute accessories! 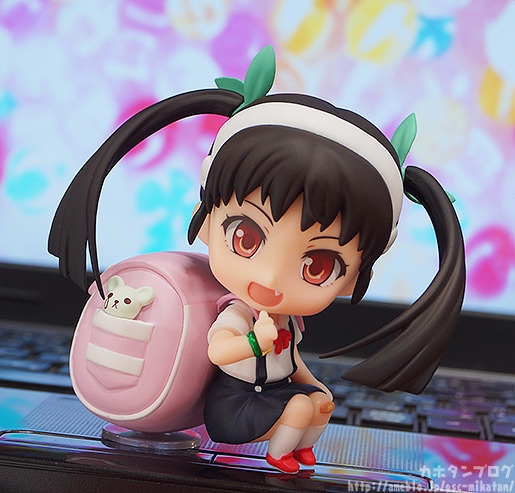 When you pose her crouching down with her backpack, you can balance her securely with the included little stand here! What’s this? 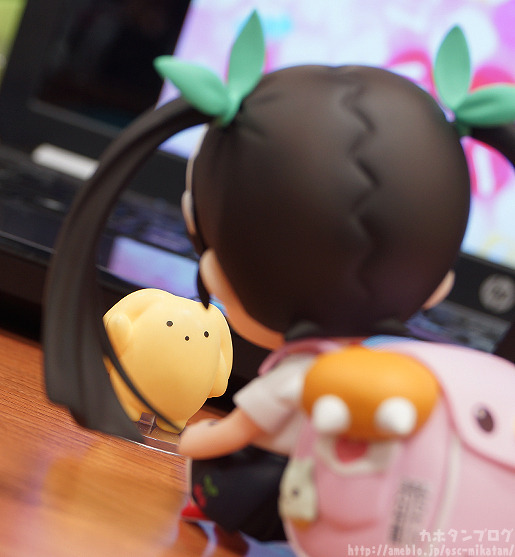 A strange yellow creature is headed toward her! 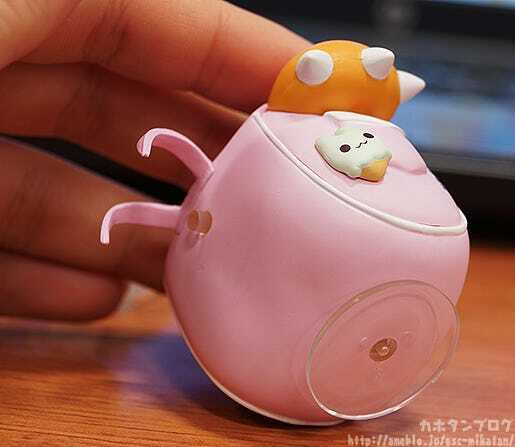 wooser is sniffing around for the gals of the future! 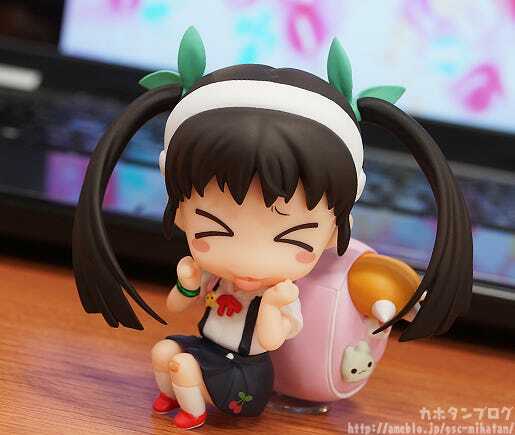 I decided to borrow an expression from Nendoroid Hatsune Miku: Yukata Ver. Natsutsubaki to pose her with wooser! 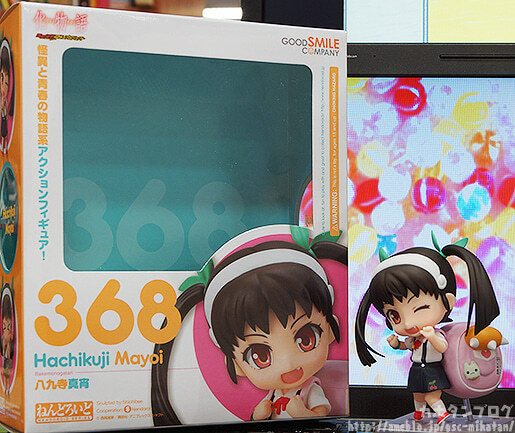 You really get a good feeling for Mayoi-chan’s optimistic and playful personality!! 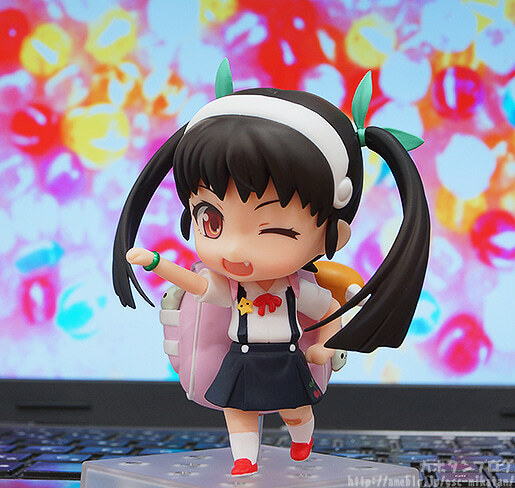 By the way, as I’m sure some of you have noticed, Mayoi-chan comes with two straight bars along with her standard Nendoroid stand. 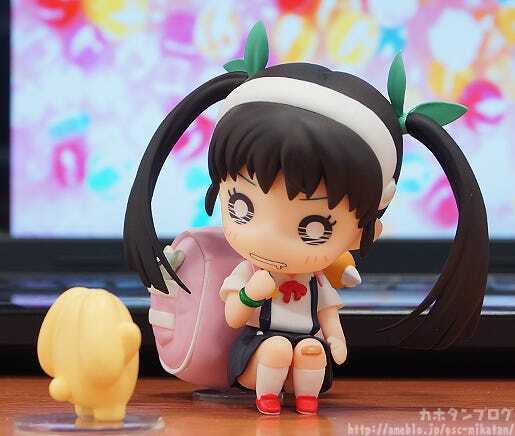 These allow for various different poses when displaying her with the backpack attacked! 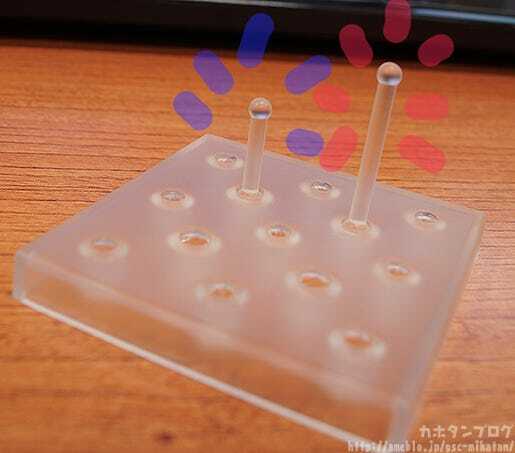 Just attach the other end of the bars into the bottom of the backpack at the height that suits you better! 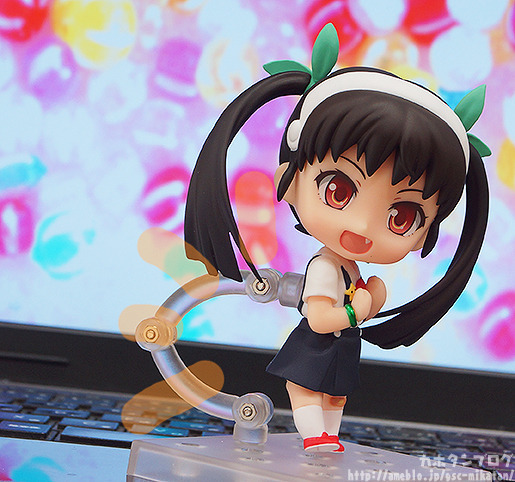 Have the adorable Mayoi-chan by your side in the pose you prefer! 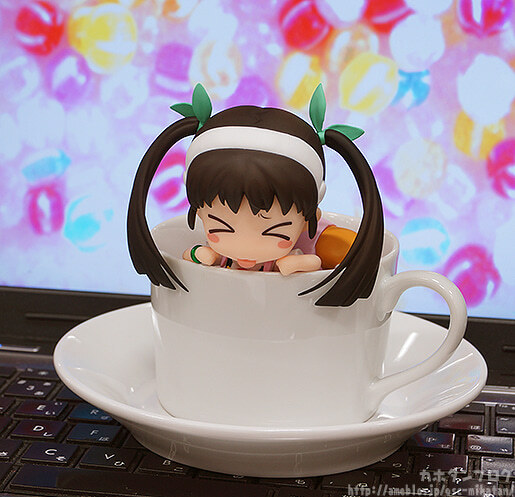 She’s shipping out from GSC today! !